Only enrolled children, full or part time will be accepted into After School Care & Breakfast Club. Attendance at Holiday Programme is allowed only through prior online registration. Children dropped off on any day without a booking will incur a penalty fee of $25 in addition to normal Programme charges. 1A. PLEASE NOTE: Once online enrolment form is submitted, to confirm your child’s attendance a PRE VISIT & FAMILY INTERVIEW need to be organised with the office, the purpose of this visit is to get to know your family better and understand your expectations, it is also a chance for you to understand the care we can provide. Every child is required to do a trial period. This is usually in the form of limiting attendance to ONE OR TWO days maximum per week at the start depending on availability at SMASH AND the child’s ability to settle. 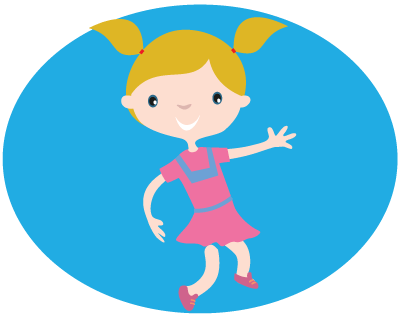 For children needing to start at the beginning of a term, children can use the holiday programme for the trial exercise to see if they settle. We require a minimum of TWO days attendance. Children are not to be dropped off before 8:00am at Holiday Programme, or 7:15am for Breakfast Club. Parents/ Caregivers are not allowed to stay where all the children are for more than 5 minutes, as we are not allowed to have non Police Vetted adults in the vicinity at any time. Children are expected to be at SMASH for every day they are booked unless SMASH has been notified otherwise. Parents/caregivers must sign the Sign In sheet for Breakfast Club and Holiday Programme. Parents/caregivers must advise SMASH if their child(ren) are being picked up from SMASH by someone other than themselves prior to pick up. Ill children will not be permitted to attend SMASH. Normal fees will be charged. SMASH office should be notified of absences via e-mail or phone 476 2747 before 12:00pm on any day a child will not be attending. Absences will incur the usual fee. Unless SMASH is notified via e-mail 2 weeks prior. Fees are payable within 7 days of Invoices being issued. The SMASH Club reserves the right to engage the services of collection agencies if account holders should default on their account. The SMASH Club reserves the right to charge interest on overdue invoices. Unless a payment plan has been negotiated with the Manager, interest shall accrue daily from the date when payment becomes due, until the date of payment, at a rate of two and a half percent (2.5%) per calendar month and such interest shall compound monthly at such a rate. On default of any invoices, the debtor shall indemnify The SMASH Club from and against all costs and disbursements incurred by The SMASH Club in pursuing the debt, including legal costs and collection agency costs. Two weeks’ notice is required for leaving the programme and also when reducing or changing the number of days required. The full fee will apply during these 2 weeks’ notice period. The SMASH Club reserves the right to exclude from the Programme children whose behaviour prejudices the safety or health of others. Please refer to our Acceptable Behaviour Guidelines for SMASH. The SMASH Club shall be advised of any change in contact details for the parents/caregivers of the children. The SMASH Club shall be notified of any custody issues relating to the child(ren) with necessary documentation. – That their child(ren) know when they are to be attending SMASH and inform their school that they are attending The SMASH Club. If necessary, the Manager may arrange for urgent medical attention for the child(ren), the cost of which is to be met by the Parents/Caregivers. Information of children held by The SMASH Club will not be made available to third parties and will only be accessible to authorized staff members. At any time, parents/caregivers may request to see their child(ren)’s information. b) The Smash Club reserves the right to change any of the programme activities. c) If your child(ren) damages any property belonging to The SMASH Club, you may be charged for the cost of repairing or replacing that property or for any related insurance excess. a) This is a binding agreement between The SMASH Club and the parents or guardians of the child(ren) enrolled. b) By enrolling your child you have read and understood the programme and the information provided and hereby agrees to the Terms and Conditions detailed above.